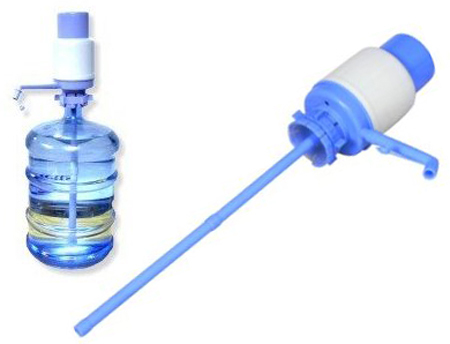 This hand pump turns any five-gallon water bottle into an instant drinking fountain. Perfect for camping or large picnics, it’ll also keep your construction crew or little league team well-hydrated. The pump installs without tools and the long siphon makes sure you get every last drop. The large easy-push pump will squirt out eight ounces of water with just two or three pumps. Pick one up from Amazon for $5 plus $8 shipping. When you’re a kid, a piñata represents one of those rare circumstances when you’re allowed to destroy something. As an adult, demolition offers another rare opportunity to vent your destructive urges. This Stanley FUBAR commercial combines the two for comedic results. Get a free DeWalt bare-bones power tool with the purchase of selected 18V lithium ion cordless tool kits. Choose between a circular saw, reciprocating saw, car charger, impact driver, 4-1/2″ cutoff tool, dual port charger, or lithium battery pack. 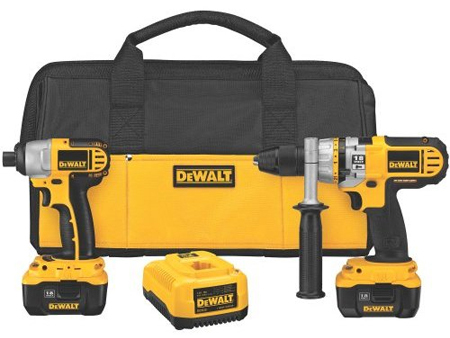 This means you can get a customized three-tool/two-battery kit starting at around $430. If you’re thinking of going lithium, check out this deal. 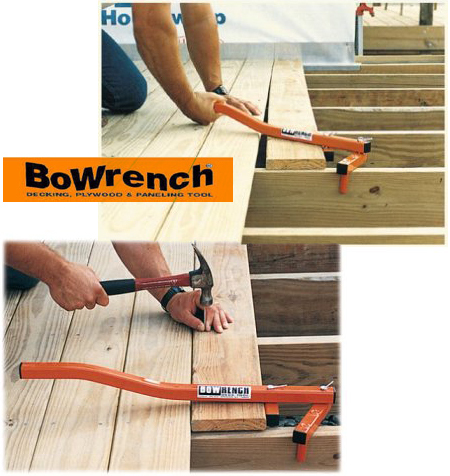 The Cepco BoWrench Decking Tool allows you to straighten decking boards with one hand. You can either push or pull the handle, to straighten boards and to join tongue and groove. Once you’ve straightened the board, you can lock the tool into place while you screw or nail the board down. And the best thing: Amazon is selling it for $39, with free shipping. The Tiger Claw reciprocating saw features a “3-D” joint that rotates at two different points, making it extremely flexible. It allows you to get at your work more easily, even if it’s between or behind a bunch of studs, pipes, or cables. 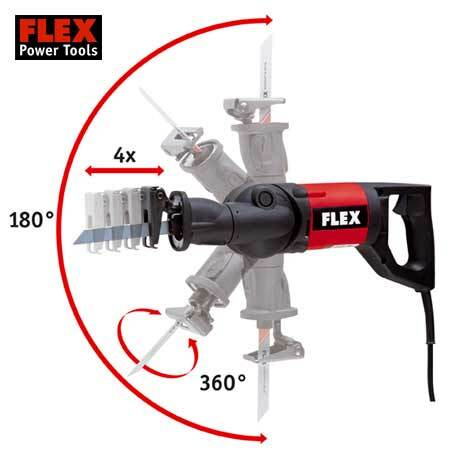 It’s made by a company called Flex Power Tools, so what else would you expect? You might want to change the chuck on your drill for any number of reasons. If you own an older drill, you may want to add a keyless chuck for convenience or replace a broken or rusted chuck. If you have a newer drill, you could add a keyed chuck for extra bit-gripping strength. 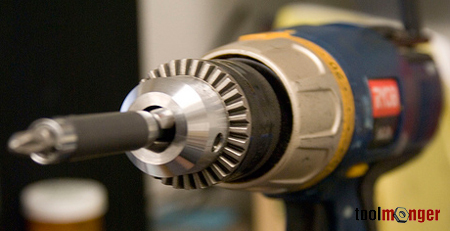 These guidelines’ll help you replace your drill chuck. 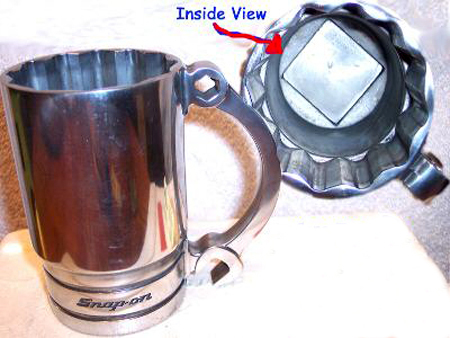 Beer and tools come together once again, in the form of these NOS (new old stock) polished aluminum beer stein/coffee mugs being sold by eBay member 2speedyshippers. The seller claims these steins were distributed exclusively by Snap-on dealers in the mid 1980s and are extremely rare. The 5″-tall steins weigh two pounds each, with handles shaped like curved wrenches, and cups shaped like a double-hex drive sockets. 2speedyshippers is auctioning off several of these mugs — the last auction ends May 27, 2008. I couldn’t find any info about these on the Internet, so if you’ve ever seen one, let us know in comments. Amazon is selling the Leatherman Skeletool CX for $64 with free shipping — that’s at least $22 cheaper than I could find anywhere else. 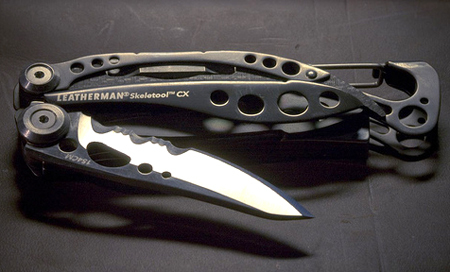 The CX differs from the original Skeletool by its combination straight/serrated blade and its “Tungsten DLC Coating,” whatever that is. If you want one, you’d better hurry; Amazon could raise the price any minute. 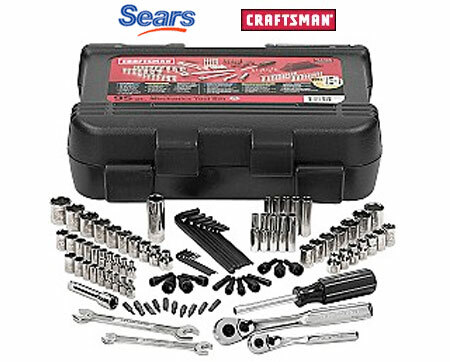 Sears.com is offering up this slick Craftsman 95-piece mechanic’s tool set for $60 — talk about a great Father’s Day present. Normally I’d recommend in-store pickup, but with $7.50 for shipping, you’ll probably save a few bucks by not driving your gas-guzzler down to the local Sears. The set includes 54 Easy-To-Read sockets in 1/4″ and 3/8″ drive, two open-end wrenches, three drive tools, and 36 specialty tools. The laser etching won’t chip, fade, or corrode, and the Easy-To-Read markings make identification easy, even in low light. The set comes with a fitted, blow-molded case. Toolmongers are always improvising. If they have a job that needs to get done, they get it done, regardless of whether the proper tools are readily available. A prime example, this gentleman from Mexico needed to sharpen his tools but had no sharpener — so in true Toolmonger fashion, he made his own.